Relaxation is my topic of today's beauty post for this week is regarding, these beautiful set of candles which are perfect for your home or bathroom (who ladies like to create that bubble bath and relaxation moment). The Candles come in beautiful dishes to bowls from classic artistic green bowls to colourful glass candle sets. See more of the sets here. These Candle sets come for the perfect present if your celebrating mother’s day or simply it’s your mums or friends birthday. I would recommend their Gem of a Women Scarf & Candle Set which is £54. 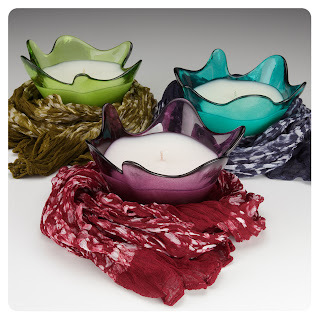 The Gem of a Woman set comes with a uniquely scalloped bowl candle and a fair trade summer scarf, both made by underprivileged women from around the globe. 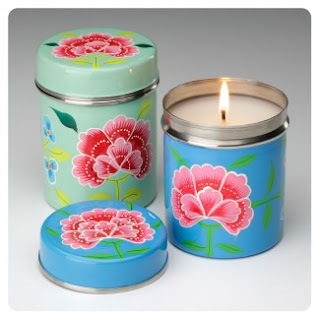 Or if you’re someone who likes lovely patterned tins or candles in tins I would recommend their Franjipani tea tin candle set which is hand-painted by artisans in Kashmir and available in three tea-inspired scents. (They are both beautiful in their own way). Apart from Candles they also offer reasonable priced Bath & Spa sets which are filled with one of their candles, natural bath salts with essential oils, face and body soap, organic tea which comes in one of their handmade Rwandan baskets. These baskets are perfect for your mum, friends, partner, or even a little a gift to say thank you. The bath & Spa sets are varied on relaxation subject and a sense of wellbeing you’ll have to choose wisely. Or if you’re after something yummy their gourmet range offers chocolate, tea, coffee, and baking kits with their feature of the appropriate candle in gift sets. If the receiver is not a fan of candles you add a more personal touch with present you give them with their personalised range which features jewellery, totes, to homeware. These products are the perfect way to say thank you and suited to all occasions whilst, remembering with every candle purchase Propersity Candle is able to grow our impact and help additional women participate in a rising tide of prosperity.